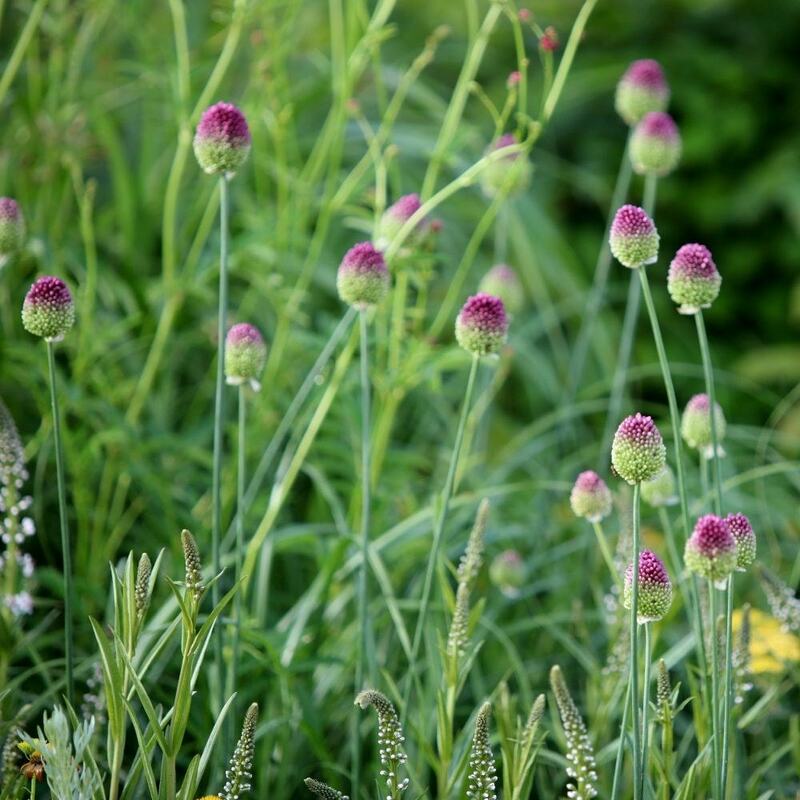 A gorgeous allium with small, egg-shaped flowerheads, that top tall, slender stems in mid- to late summer. 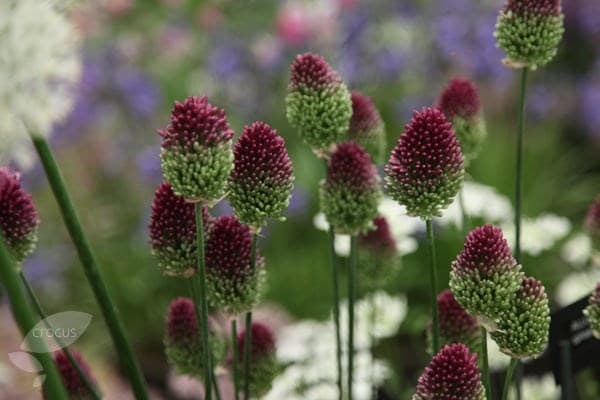 Planted en-masse in a border, these diminutive claret-coloured flowers look great emerging from a screen of foliage, or against a backdrop of ornamental grasses. They gently fade as summer comes to a close. 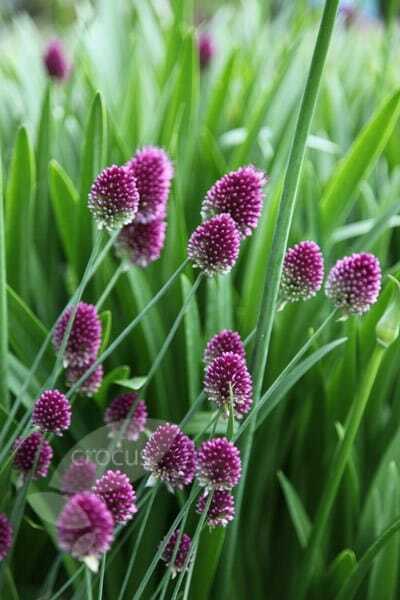 Garden care: For best effect plant the bulbs 8cm deep in natural drifts. Avoid soils that are too wet, and split and divide large clumps in autumn or spring. The cone shaped flower heads are small but beautiful and are highly addictive to bees - any number from 1-6 of them on each flower head! In the border but spaced them too far apart for best effect. 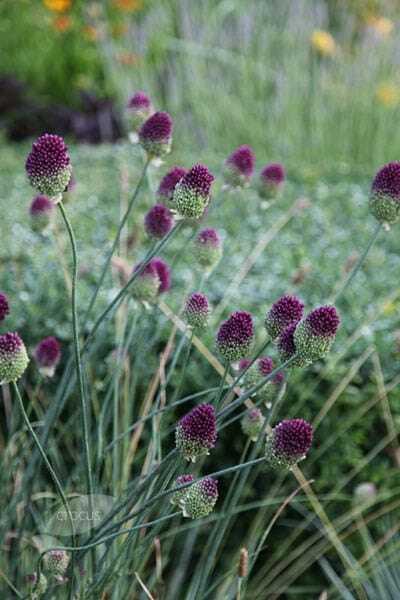 I plant these in groups among my herbaceous perennials. They are fairly tall and sway with the breeze. As they are later flowering bulbs they are a real surprise when all the other spring bulbs have gone over. As always the service from Crocus was excellent and the quality spot on. Very healthy bulbs arrived on time. They have all burst into growth with strong healthy shoots. Look forward to an amazing display. Look great planted in a group. As they're very attractive to Bees they're best kept away from a busy pathway. Also attractive to Butterflies. A garden must in my view. I shall be planting more! Hello there No you can still plant now as long as the ground isn't frozen or waterlogged. When should these bulbs be planted? Hello there The best time to plant them is now in the autumn. Hope this helps.